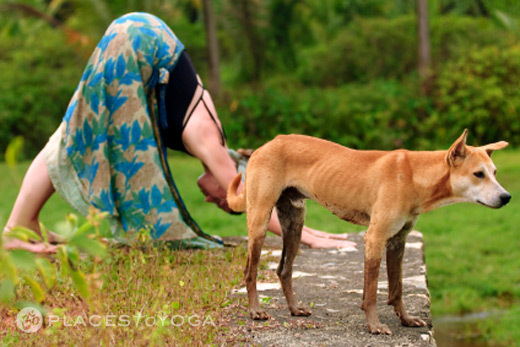 The Yoga Center of Minneapolis is committed to the highest standards of ethics and yoga instruction. We offer the largest variety of yoga classes and intensives in the Twin Cities, with studios located in downtown Minneapolis and in St. Louis Park. Styles include: Ashtanga, Anusara, vinyasa flow, chakra yoga, restorative, Tantra, kriya, kids’ yoga, pre-/postnatal, and more. To deepen your yoga practice, we offer weekend workshops, internationally renowned visiting teachers and a variety of in-depth yoga study programs. Our qualified and certified instructors from different philosophies of yoga help us provide classes for any level of fitness and experience. Be sure to check out our holistic Wellness Services such as Thai Yoga Bodywork, acupuncture, and Chinese herbal medicine, energy work/Reiki, Swedish and prenatal massage, and intuitive readings to help cocreate a better sense of well-being in your body, mind, and spirit. Our 230-hour yoga study and teacher training programs are registered with Yoga Alliance. Study asana, philosophy, physical and energetic anatomy, and much more. Yoga study students will learn from a variety of experienced instructors from different backgrounds and yogic philosophies. After six months in the 230-hour program, students can focus on one style of yoga with a mentor of their choice. Our advanced program can be taken in quarters or a full year. Students apprentice with a style focus with a senior instructor of your choice.